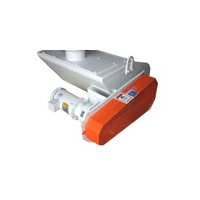 Kice rotary stream splitters and spreaders effectively mix and spread coarse or fine materials like wheat, flour, beans, etc. The result is a spread of material that uniformly exits the machine. Material exits the machine at the same rate it enters. Units are sized by Kice project engineers based on the volume of material passing through them. 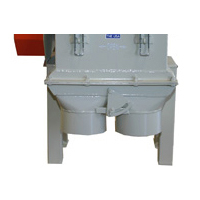 Spreader – Kice rotary stream spreaders have a rectangle outlet flange. 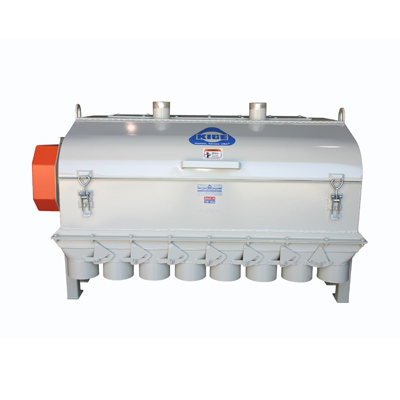 Typically these units are installed on the inlet of a Kice Multi-Aspirator® that requires a uniform spread of material. 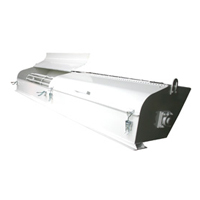 Splitter – Kice rotary stream splitters are identical to spreaders with the addition of outlet transitions and adjustable knife gates. 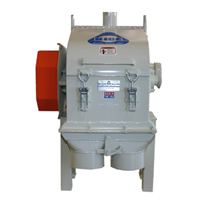 Rotary stream splitters are used to evenly split one inlet stream into multiple outlet streams. Materials of Construction are standard in mild steel. Stainless steel units are also available. Outlet Transitions with adjustable knife gates are standard on splitters. 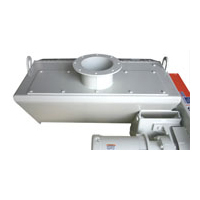 Gearmotor Drives have adjustable motor mounts and include sanitary guards. Lifting Lugs are standard on all units. 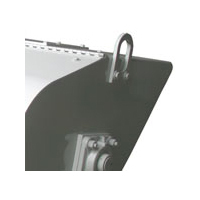 Bolt-On Inlet Fittings are available for each application.